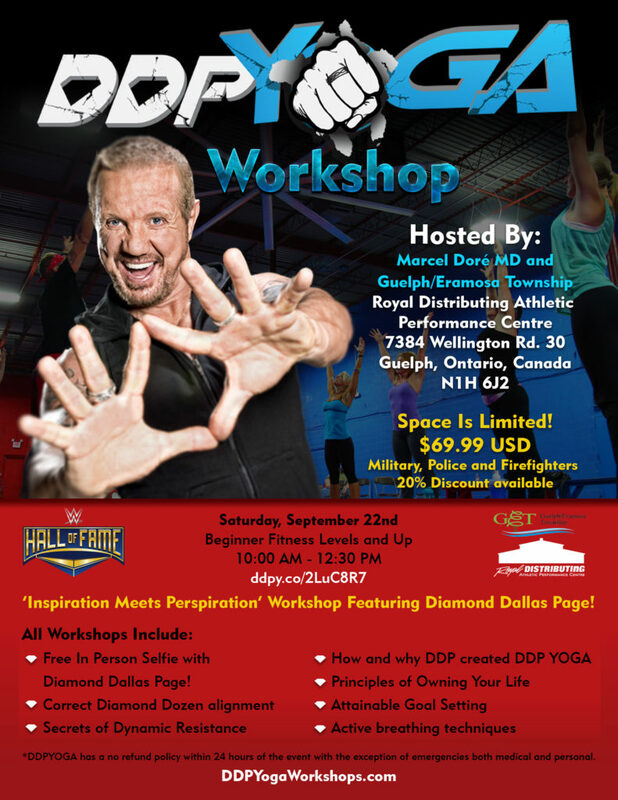 DDP YOGA ‘INSPIRATION MEETS PERSPIRATION’ WORKSHOP! We respectfully request, no personal items for signing, please. Dallas wants to make sure that he can get to everyone for their selfie and stay in line with schedules of the facility and Dallas’ travel arrangments.